The Hong Kong government dropped plans to scrap visa entry for Indians after representations from Indian officials as well as businessmen said such a move would seriously jeopardize the business and also tourism. The recent media has quoted that the public security officials have stated that the former British colony was planning to scrap the programme for the Indians in order to reduce the number of asylum seekers. However, both the Indian Diplomat as well as prominent businessmen based in Hong Kong told the media, that the local govt has dropped the proposal after representation at the highest stating such a much would seriously jeopardize both business and trade flows from India, even tourism will be effected. 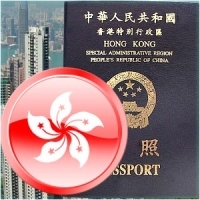 As per the report of Hong Kong based South China Morning post recently, said that the proposal to scrap the visa free facility for the Indians was mooted by none other than members of the Liberal party in order to keep a tab on the asylum seekers from nations such as India which has noted sharp increase in the recent months. India is one of the very few nations which Hong Kong allows the visa free travel as well as stay for 14 days. Both Hong Kong and Macau has continued with the policy even after It has become the special administrative regions of China in 1997.